(VEN) - Steel production and sales continued to grow despite changes in the domestic and foreign markets. According to the Vietnam Steel Association, steel companies continued to grow despite the imposition of anti-dumping duties and a slight increase in price. Steel production in the first eight months of this year reached more than 11.5 million tonnes, an increase of 29 percent compared to the same period last year, while consumption exceeded 9.5 million tonnes. Steel exports stood at more than 1.77 million tonnes, a 49 percent increase, with major exports being corrugated painted galvanized steel sheets, cold rolled steel and structural steel. In August, steel production reached over 1.53 million tonnes, up by 29.1 percent compared to t a year ago and up by 5.7 percent compared to the previous month. Steel consumption amounted to more than 1.3 million tonnes in August, while exports neared 270,000 tonnes. ASEAN remained the main export market buying 134,800 tonnes of Vietnamese steel in August, accounting for 43.16 percent of total steel exports. Vietnam Steel Association Deputy Chairman Nguyen Van Sua hoped that the sector would reach its production target for the year. Steel production, sales and exports maintained good growth in September and are expected to further increase in the remaining months of the year. According to the Ministry of Industry and Trade’s Vietnam Competition Authority, the United States Department of Commerce received petitions to investigate evasion of anti-dumping and countervailing duties on corrosion-resistant carbon steel and cold rolled steel imported from Vietnam to the US market in late September. Plaintiffs asked the United States Department of Commerce to investigate and impose anti-dumping duties on these products like those of China. In addition, the Australian Department of Industry, Innovation and Science’s Anti-Dumping Commission announced a decision to conduct an investigation into galvanized steel imported from Vietnam, India and Malaysia, regarding anti-dumping and countervailing duties. Although the US and Australia are not Vietnam’s key export markets, lawsuits may negatively affect Vietnamese steel businesses. In such a difficult context, greater efforts from steel businesses are necessary to keep the domestic market stable. 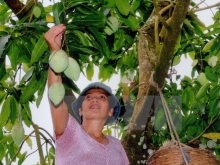 Vietnamese businesses should show partners their production process, the origin of goods, vouchers, trademarks and licenses in order to prove the transparency of made-in-Vietnam goods. 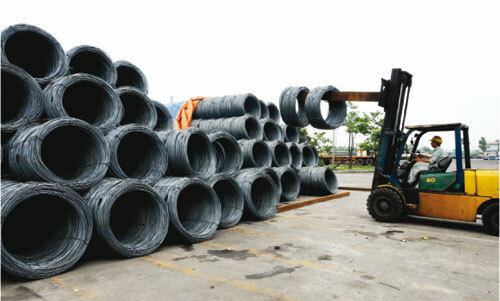 The Vietnam Competition Authority will continue to review and closely monitor steel products imported from China to ensure the stability of the domestic market. In particular, the Ministry of Industry and Trade was determined to carry out an anti-dumping investigation into H-shaped steel products imported from China, while at the same time making public Decision 3584/QD-BCT on the imposition of temporary anti-dumping duties on imported galvanized steel. Only six Chinese businesses are subject to lower duties than the maximum rate of 38.34 percent. The Vietnam Steel Association will get together with businesses and state agencies in the fight against the US’ anti-dumping investigations into Vietnamese steel products.